We are Manufacturer of Coriander Whole as well as powder. Coriander is our main items of exporting. All the parts of the coriander plant are edible, even the fruits which are called the seeds, the seeds have pleasing fragrance. In highly enhances the flavor of the dish. The commonest use of coriander seed is in curry powders, where it is the bulkiest constituent. They can be likewise used in stews and soups. They blend well. Coriander is an ingredient of Indian gram masala, pickling spices and pudding spices and is used in cakes, breads and other baked foods. Super XO, Eagle, Indori, 100% Split all parts of the plant are edible, but the fresh leaves and the dried seeds are the parts most commonly used in cooking. Whole Grain Coriander Seeds. It is widely flavoring agent in food industry and suitable to add pleasant aroma and flavor to food items. Coriander Seeds are also good to be used inside sausages, baking, candies, pickles, soups etc. Coriander seeds have medicinal benefits too for boosting up your overall health and stamina level. It has wonderful tendency for treating gastric and intestinal pain. It can also be used externally as body lotion or skin treatments. The oil prepared using coriander seeds is bactericidal and fungicidal. 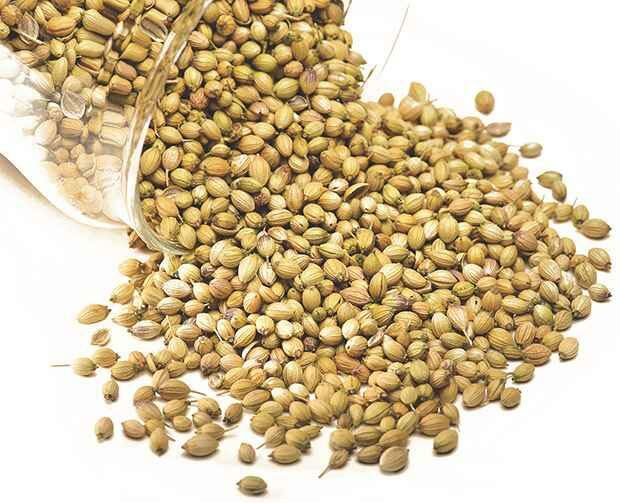 Coriander seeds exporters are selling high quality seeds at most suitable prices. To know more on Coriander seeds exporters and our custom range, kindly contact us. It is usually used as health booster to maintain your overall health and stamina.